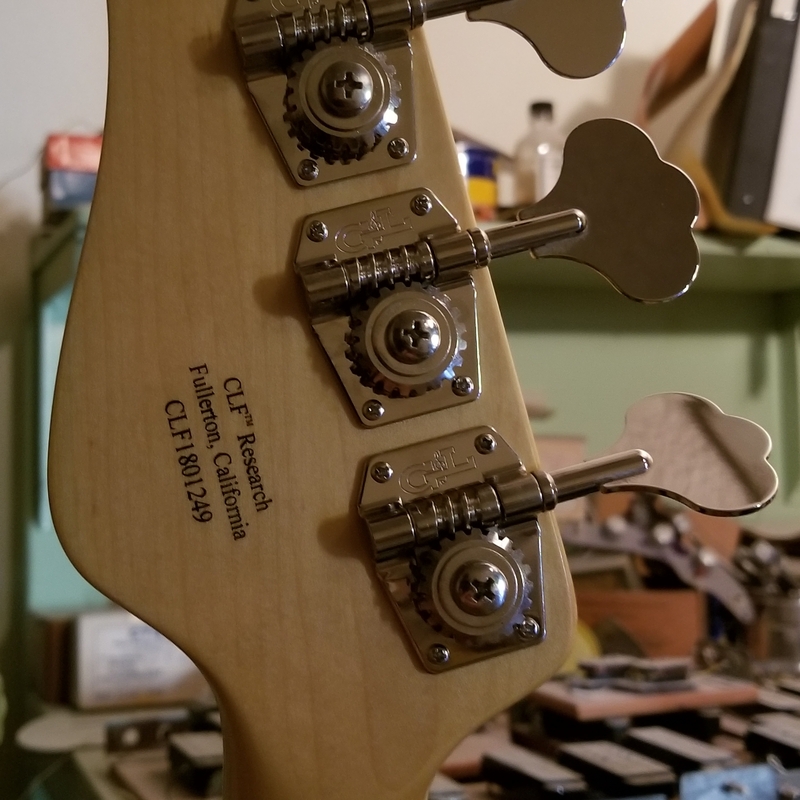 In the late 1970s, Clarence Leo Fender† was looking forward to launching his new G&L brand featuring his latest innovations including Magnetic Field Design pickups and the Saddle Lock bridge. Leo developed these technologies at his CLF™ Research company, and production of the new G&L instruments took place in the CLF Research factory on Fender Avenue in Fullerton, California, where G&L production continues today. 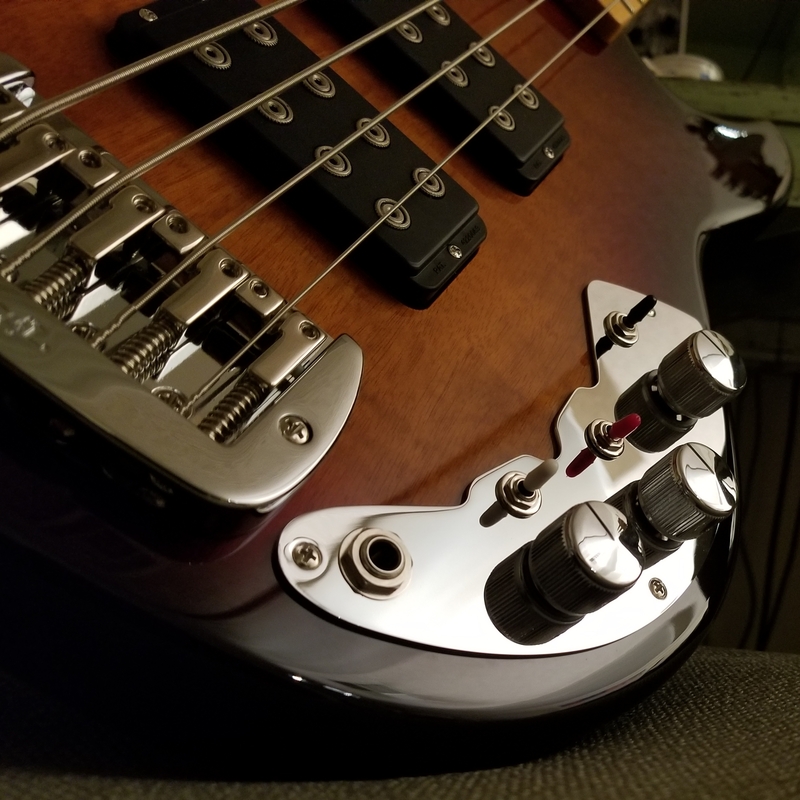 The new CLF Research L-2000 is a fully modern “2k” that pays homage to its roots with classic details including the early CLF/G&L headstock and neck profile, beautifully reproduced CLF knobs and ’81 control plate, and color-coded mini toggle switch tips. 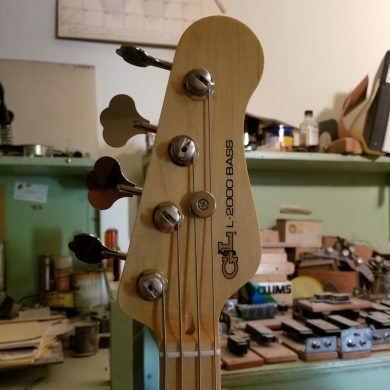 Thin urethane finish choices are Candy Apple Red or Jet Black over basswood, Natural Ash, and faded 3-Tone Sunburst over Okoume. Live! At Leo’s: watch Steve Araujo of The Bass Hang showcase the new CLF™ Research L-2000. The bass is running through the superb BBE BMAX-T bass preamp using the DI out. The Live! 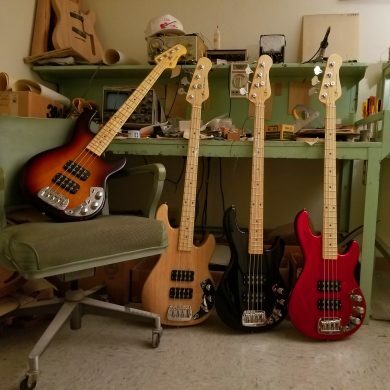 At Leo’s studio is located at Leo Fender’s historic factory on Fender Avenue in Fullerton, California – The Birthplace Of Bolt-on™.